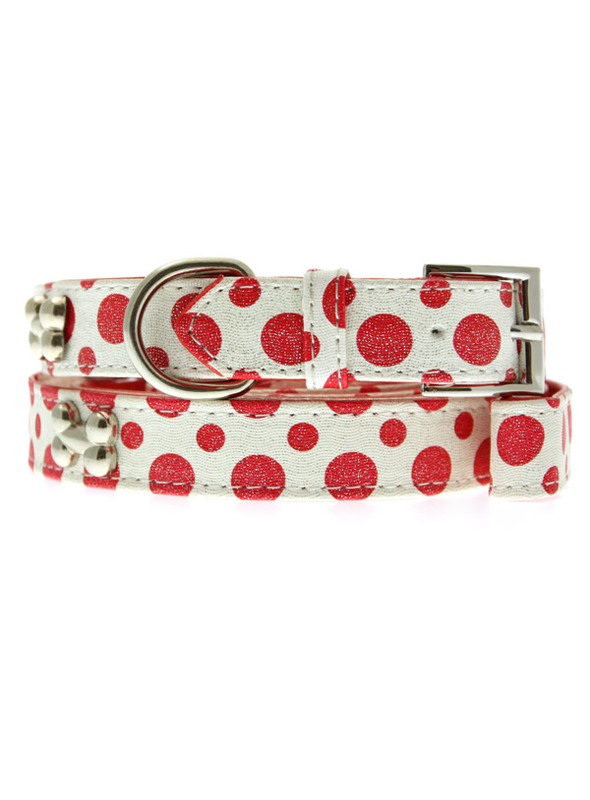 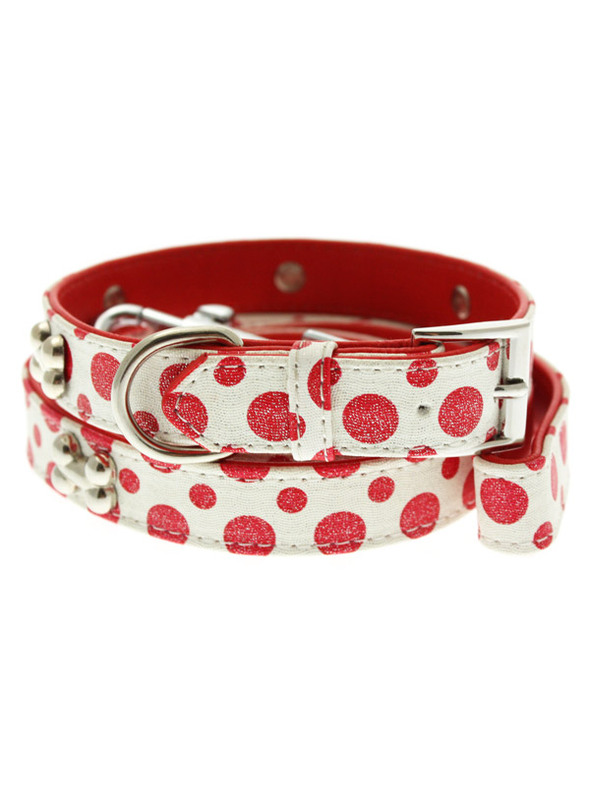 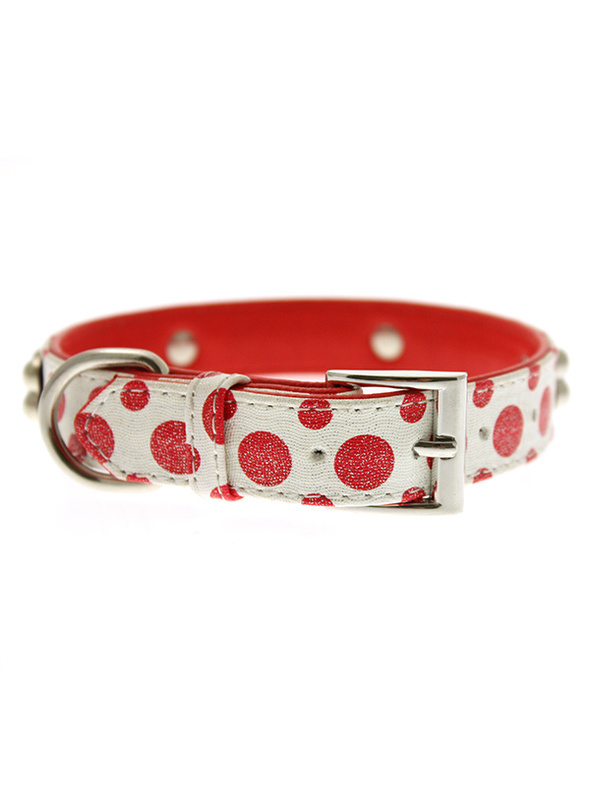 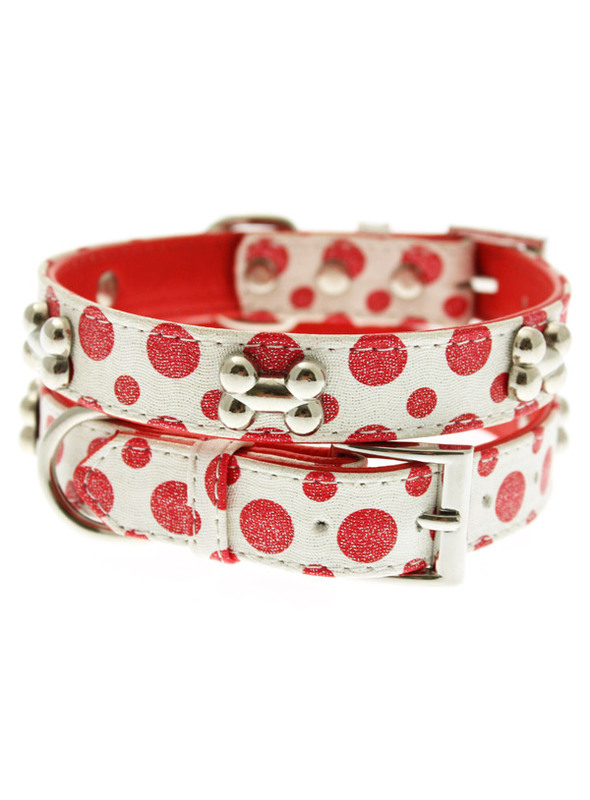 This striking red & white leather collar with stitched edging has a hint of glitter, finished with three chrome bones and will look great for walkies. A very smart addition to the wardrobe of any trendy pooch. 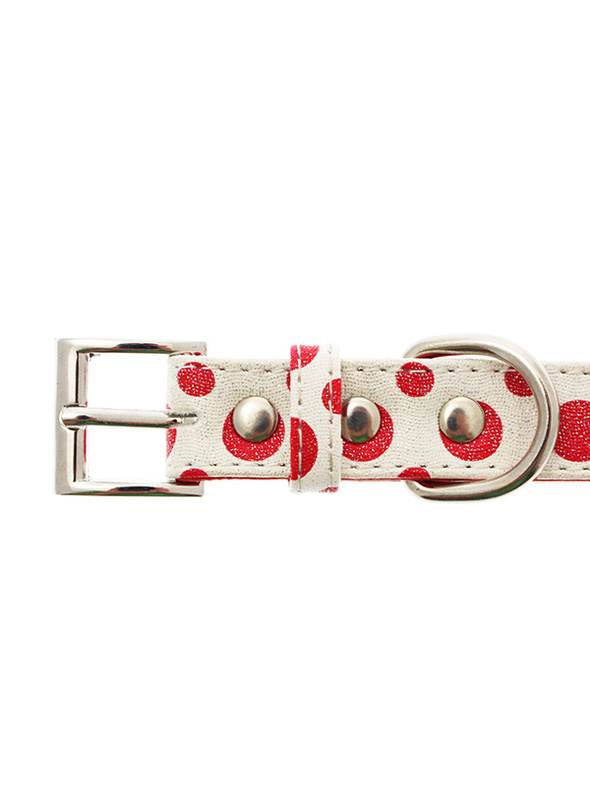 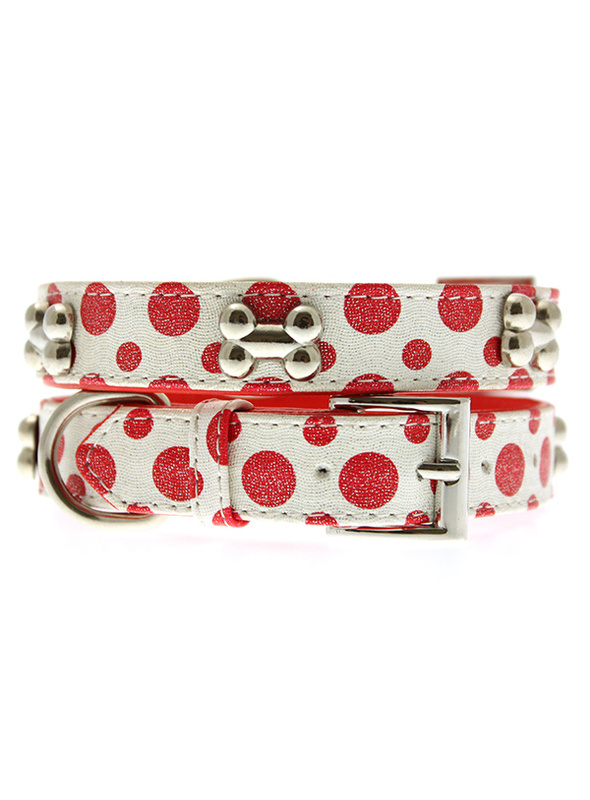 Matching leather lead has silver clip with red & white polka dot glitter pattern and finished with a chrome bone.